Watlow's new Fluent in-line heater delivers on-demand heating in a small package while providing a high level of patient safety. Watlow designs and manufactures heaters, temperature sensors, controllers and supporting software for leading medical companies around the world. The Fluent is the firm's latest innovative design to improve system performance and reliability for medical applications. 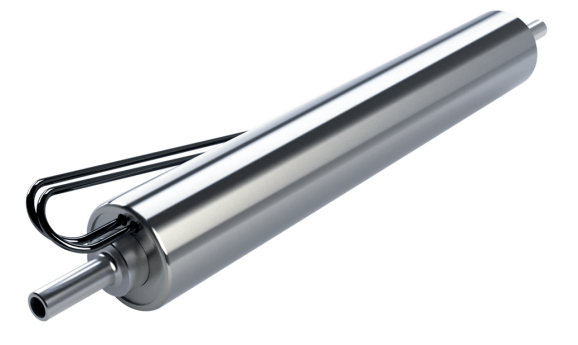 The new solution is a small, lightweight, high-performance heater that can replace both a traditional immersion type heater or a heater wrapped around a tube as part of a thermal system. It is designed as an integrated solution that replaces multiple components in a system. The heater design reduces overall system cost and complexity. Because of its high watt density, it offers ultra-fast response leading to higher system performance. Unlike traditional heating solutions, Fluent offers a true double-insulated construction for ultra-low electrical current leakage. It also has superior chemical compatibility for fluids used in procedures such as dialysis as well as cleaning solutions.